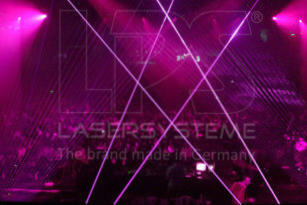 Laser show and show laser for festival and touring. with top acts such as David Guetta, Steve Aoki, Hardwell and the DJ duo Lexy & K-Paul. Electric Love Festival at the Salzburgring in Salzburg (Austria) convinced with high-end equipment, such as twelve LPS show lasers in RGB. 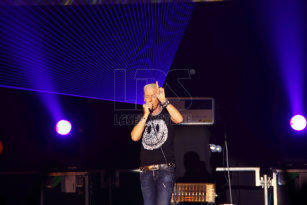 DJ Tiesto in Belgrade (Serbia) and Beirut (Lebanon) with space-filling laser show effects from LPS. One of the hottest openair rock festivals in Balingen. 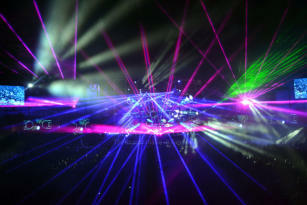 Two LPS-Bax show lasers have been on stage. Several laser show systems of LPS were used for the popular Scooter tours. Rock im Park in Nuremberg and Rock am Ring in Mendig festivals attract thousands of rock fans from all over the world every year. 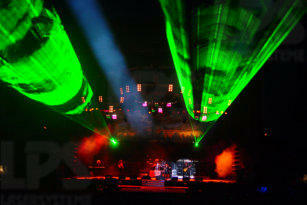 Three LPS-Bax RGB show laser systems were used to guide people at Rock im Park. Eight LPS-Bax in RGB and G enchanted the audience in several European countries with the Sunrise Avenue Fairytales Best of Tour with Samu Haber. 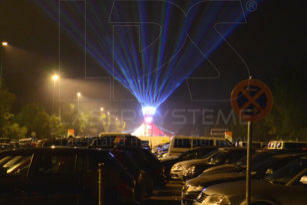 Electronic festival in Dormettingen with six LPS-Bax RGB laser show systems. DJ R3hab, Karotte, Le Shuuk, DJ Cuebrick and more popular DJs fired up the fans of the electronic festival. For professional lighting designers and organizers of various events and festivals worldwide, LPS-Laser has long been an important partner and part of a perfect stage technology for festivals and tours since 1993. These include, for example, Europe-wide techno and trance festivals and tours with well-known DJs and artists such as Carl Cox, David Guetta, DJ Tiesto, FatBoy Slim, Hardwell, Mark Oh, Marusha, SCOOTER, Steve Aoki, Sven Väth, Tom Novy, Westbam and others in Beirut, Belgrade, Berlin, Frankfurt a. M., Lisbon, Munich, Paris, Porto, Prague, Zurich and other metropolises. Rock festivals and tours with well-known bands like Black Sabbath, Fettes Brot, Halestorm, Motorhead, Red Hot Chili Peppers, Ronny James Dio, Saxon, The Bosshoss, Twisted Sister, White Lion and Sunrise Avenue Fairytales Best of Tour through Germany, Finland, Austria, Romania and Switzerland.